Welcome back to Okay, I Finally Watched It, an occasional feature where TWTV writers discuss their experience with shows generally viewed as classics. It seems like in the last few months Joss Whedon’s been virtually everywhere in the public consciousness. First there was Cabin in the Woods, a brilliant horror film that pulled off the trick of both subverting all the tropes of the genre and throwing them all together to see what would happen. Then there was The Avengers, the culmination of Marvel’s years of effort to build a film franchise and the undisputed king of the summer’s blockbuster releases. And now with the development of the S.H.I.E.L.D. pilot for ABC and a distributor acquired for his version of Much Ado About Nothing, it seems like there’s almost nothing he can’t do. This success comes as validation to a lot of people who’ve followed Whedon’s career for years, though it’s something I’ve only been able to appreciate halfway. I’ve sampled some of his work over the years—watching Firefly in college with a friend, intermittently watching parts of both seasons of Dollhouse as they aired—but I’ve never had the appreciation for his writing and creativity that people who grew up with his more famous work do. And by that, I of course mean Buffy the Vampire Slayer, the 1997–2003 supernatural teen drama that redefined both genres to a remarkable extent. It inspired a legion of fans whose interest borders on cult-like devotion, and the show still receives high billing on most “best of” lists (including This Was Television’s, where our own Cory Barker recently named it the top show in UPN/WB history). I can’t quite put my finger on why I’ve never seen the show by now, especially given I was about the right age (12) to watch it when it debuted, and in the 15 years since my interests have always revolved in some measure around science fiction and fantasy. My best explanation is both a lack of awareness—I wasn’t always the avid TV consumer I am now—and the fact that my attitude toward all teen dramas is historically disdainful at best. This may be due to the fact that I’ve worked very hard to repress every memory of my own high school experiences, but the few teen dramas I’ve actually spent any length of time watching have needed to bring something more for me to appreciate. Veronica Mars, for example, is a show where I enjoyed the season-long mystery arcs plus cases-of-the-week approach, while finding myself utterly uninterested in the dynamics of Neptune High. Not that it hit those points right at the start. Quite the opposite in fact, to the point that half of my Twitter feed kept promising me it got better as I started watching the early episodes and spent as much time making fun of them as I did praising the show. This isn’t surprising given that this was the first time Whedon had ever run a television show, deciding to reboot his 1992 feature film script after what he perceived as a disappointing result. 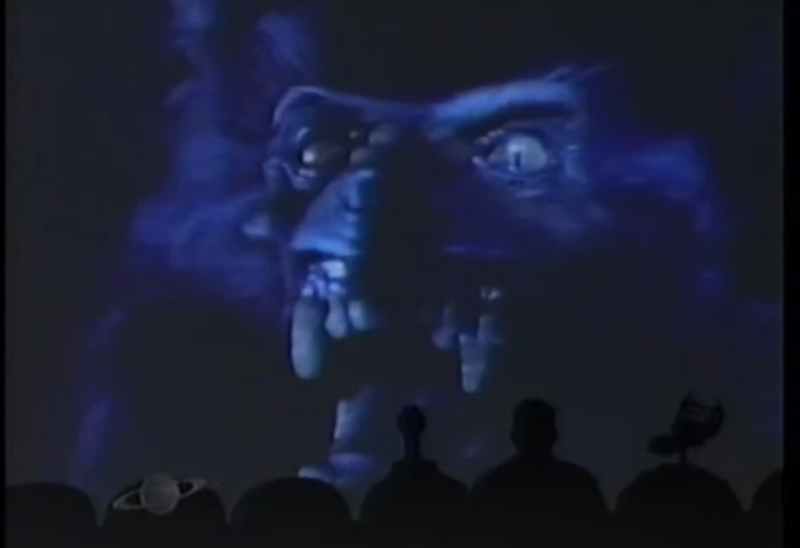 The early episodes are choppy in a lot of ways, operating in a “monster of the week” format that goes to places that are campy bordering on ridiculous: a science teacher who’s actually a giant praying mantis in “Teacher’s Pet,” hyena-possessed kids eating their principal in “The Pack,” and a demon lord being scanned into the Internet in “I, Robot… You, Jane.” There are also some truly horrid special effects that belie the show’s limited budget, from poorly done vampire makeup to CGI that’s laughable in only the way the late 1990s could give us (see also: The Langoliers). The laughable part is especially key, because while these early episodes are kind of awful, they at least have the decency to be horrible in an entertaining fashion. At the same time, there’s definitely a core to the show where you can see flickers of something better trying to break through. More specifically, the central ensemble enjoys a chemistry that’s apparent even in the early episodes, and they grow more comfortable in their roles as time goes on. Sarah Michelle Gellar as the titular vampire slayer is always ready with a sarcastic reaction to the fighting, but at the same time she imbues Buffy with an emotional center that reminds the viewer a 16-year-old vampire slayer is still sixteen years old. As her mentor, Anthony Stuart Head’s Giles provides a comforting presence and is always ready with an overly detailed explanation, even if he’s not exactly the best person for operational support. * Her school friends are more of a mixed bag—Nicholas Brendon’s Xander has his moments but always seems to have one punchline too many, and Alyson Hannigan’s Willow is so adorably awkward that making her cry should be a jail-worthy offense. *Fun drinking game: take a shot every time Giles gets knocked out. It happens a lot. 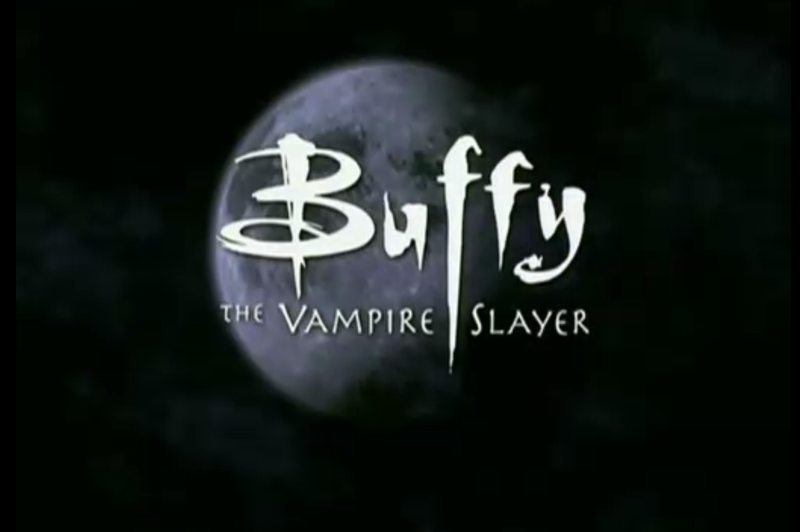 The second season of Buffy continues that track record throughout, although some of the fun of the cheapness is gone because the show has proven it’s capable of doing so much more. When episodes move away from the titular vampire slaying to explore other kinds of monsters as metaphor, they feel like filler that distracts from more exciting and interesting parts of the arcing mythology. Some easy examples: “Inca Mummy Girl” and “Bad Eggs” aren’t laughably bad,* they’re just poorly plotted and full of silly concepts; and “Ted” collapses under the weight of being a metaphor for the often conflicted relationships between stepchildren and stepparents. **Lesson learned, showrunners: your supporting cast is much better when they’re not being kept in the dark about the protagonist’s secret life. Chuck learned this lesson with Captain Awesome and Morgan, Grimm’s learning it with Hank, even Dexter seems to be learning it in its seventh season with Debra. And of course, there’s the Angelus arc. I didn’t know until watching this series that Buffy was the first show to establish the concept of the “Big Bad,” and what a way they inaugurated that. To transform Buffy’s love interest into the season’s arch-villain was a brilliant idea, expanding the Angel character (and Boreanaz’s acting range) immensely, and adding a raw emotional edge to the show through Buffy’s emotional damage and Angelus’ murder of Jenny Calendar. Those episodes in the second half were dark, conflicted installments that ramped up the stakes for Buffy far more than the Master ever had in the first season, and the two-part finale “Becoming” was the sort of thing I needed a few minutes to cope with at the end. Coming off that high, I wasn’t sure if I should expect season three to be a step down or not, but it turns out no fear was necessary. I don’t think that anything in season three hit with precisely the same impact as the highs of the Angelus/Spike story, but as a whole it’s easily the strongest the show has been. There’s a definite sense of confidence from both the writers and the actors as to what they could deliver, and enough of a pool of mythology that they could call back to a multitude of references. More to the point, episodes that were separate from or only loosely tied to this season’s Big Bad, the Mayor, didn’t suffer from that distance. What had been a sporadic string of hits and misses turned into a murderer’s row of quality hours of television. “Homecoming,” “The Wish,” “Lovers Walk,” “Dopplegangland,” “The Zeppo”—I finally understand why so many of these titles are spoken of with admiration bordering on reverence. They’re clever and deep, but they’re also damn fun, a tightrope that Joss Whedon’s writing walks better than most any TV writer I’ve encountered. Actually, this isn’t about you. Although I’m fond, don’t get me wrong, of you. The other night, you know, being captured and all, facing off with Faith, things just kinda got clear. I mean, you’ve been fighting evil here for three years, and I’ve helped some, and now we’re supposed to decide what we want to do with our lives. And I just realized that’s what I want to do. Fight evil, help people. I mean, I-I think it’s worth doing. And I don’t think you do it because you have to. It’s a good fight, Buffy, and I want in. Witnessing speeches like that, and development like that, are what distinguishes Buffy the Vampire Slayer amongst all the other teen dramas I’ve sampled and discarded over the years. It’s tense, hilarious, quotable, exciting, emotional, and at its peak able to transition between all of those moods without even breaking a sweat. Before watching it I wondered why everyone was so in love with the show; now, I’m just wondering what the hell took me so long to join the team. You hit on all the main points I love about the series. I’m a character development junkie, so all of those points where you see the characters, especially the supporting cast, growing and altering the dynamic as a result of everything that’s happened are my favorites. And a definite “yes” to bringing the supporting cast in on the protagonist’s dark secret. You can only milk the tension of whether or not they’re going to discover what’s going on for so long, and in the meantime you’re forced to sideline them for all the major conflicts or come up with contrived circumstances to include them while keeping them in the dark. I prefer the last few seasons. It breaks away from that serialized format and really delves into some deep and sensitive places. It’s wonderful. But I love it when late viewers go back and watch BtVS (I was one for much of the same reasons you were). I think it’s so much easier to appreciate now that I’m older and better adept to handle how dark it actually is. The entire series just blows my mind. Les, you owe it to yourself to watch the rest of the series (and Angel too). I disagree that season 3 was the strongest. Season 6, while panned by some (probably just because of how dark the show gets) features some of the strongest episodes of the series (Once More With Feeling, Tabula Rasa, and others). Given your review, you will also likely appreciate that the season is not very episodic. Don’t arbitrarily make yourself miss out on a show you are already know is so good! Oh, I’m absolutely watching the whole series – didn’t mean to give that impression. I just wanted to check in at this particular point for all the reasons I enumerated above. 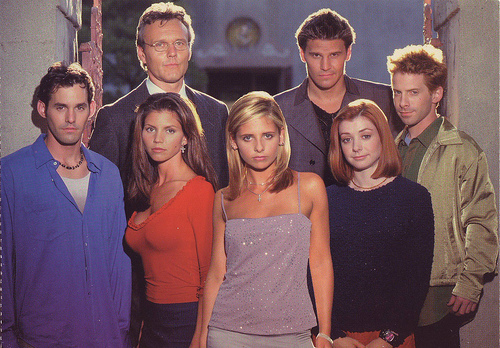 I still enjoy watching Buffy the Vampire Slayer. I especially enjoy the first four seasons the best. However, I am not a fan of Dawn. I am sorry that they chose to give Buffy a sister. Her whole being in Sunnydale disrupted the the universe. Instead they should have had Faith be on more episodes instead of having Dawn. I can’t wait to see what you think of the rest of the show! For me, season four was not the best for overall story, but has several great stand alone episodes. I constantly change my favorite season. It depends on where I am in my life. That’s why this show is so great! I also arrived very late to the party, for very similar reasons! (must. repress. memories…..) I have now watched the entire series twice, separated by a couple of months. I now appreciate the first season much more. I also find that many of the irritating character quirks that got up my nose on the first viewing, make far more sense to me upon re-watching. I also agree with Kelli, my appreciation of episodes changes depending on what is going on for me at the time, in addition to relinquishing internal resistance and judgement. High praise for Joss and all of the excellent writers, directors and actors. I think basing a review of the show on its first three seasons really does a disservice to the later seasons. True, season 4 is a transitional place, but seasons 5, 6, and 7 work as such a cohesive unit that they’re stronger than the early seasons when put together. Silly filler episodes are dumped in favor of episodes that really explore the characters, that bravely delve into some deeply dark themes that you rarely see dealt with on television with such care, and some of the show’s best writing. Season 6 is much maligned because it was the one where Joss let Marti Noxon take the helm while he developed Firefly, and Marti has gotten plenty of flack from fans who don’t appreciate the that there’s life after high school and some of it isn’t pretty. As a late-seasons fan I too often see press celebrating the high school years, so I just want to put my voice out there in saying that the best is yet to come and that the later seasons and the relationships developed in them deserve a lot more love than they get. And it’s entirely possible I’ll feel that that way after I finish the whole series. But for the reasons I enumerated above, I wanted to review the first three seasons first. I like many of you was a fan from day 1. I remember tunning in to the WB becuase I thought they were going to give the movie, when I said “When did they make the movie better”. At the beginning this show is campy fun, but not for long. It’s good that you wrote the piece after season 3, because you are right the show changes somewhat. I like to see season 4 as the beginning of a new storyline with some of the same characters. I don’t want to take anything from the joy you are going to get from watching the entire thing, but it is amazing how the writters are able to take these characters (especially the supporting players) to the heights they take them too, especially Xander ( wait for season 6 finale and the series finale exchange he has with Buffy). A fair and accurate assessment I think. Remember the special effects at the time didn’t seem as cheesey, nor the fashion quite so terrible. You’ll probably get this more than once, Kendra’s terrible accent, apparently a very real accent that she worked on with a voice coach, and apparently she was spot on. Season’s 4-6 are a slightly different animal, as is Angel, but if you follow the characters through I think ultimately you’ll be happy you did. I’ve been married for a year. I met my wife in The Bronze chatroom on WB.com. 12 years ago. I’m another person who thinks the later seasons are even better than the early ones. On first airing, we’d all grown so attached to the High School setting that it was sad to leave, and it didn’t help that Season 4 made a few missteps, but in retrospect Seasons 5 and 6 are both superb, pushing the characters into some very profound places and containing many of the show’s best episodes.